Having a model of any kind in your hands, turning it over around to see its details or parts and spending some time from your life writing your impressions about this experience, could be considered by many or just by yourself at a certain point as routine. Or can be too much free time, nothing else better to do or just passion. Pure pleasure and satisfaction for whatever that model represents to you. Personally I'm here, in the last part waiting for the next model to be discovered and reviewed and to be honest sometimes yes, because I have a lot of free time. And to avoid routine takes place in my hobby, is good to try something new and different in the same time. ​this way, started when the DNA Collectibles team asked me about someone who can make a true review about one of their 1:43 model. 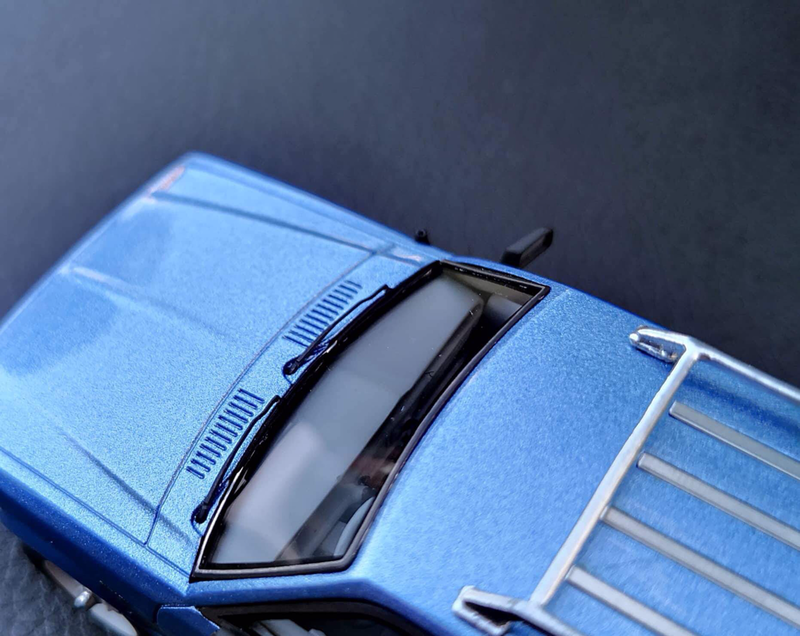 How I'm addicted to model cars and collecting, I asked myself if I can do this since my experience with the 1:43 scale is limited to only watching some really great models in photos on different threads. So, I decided to gave me a chance in this double challenge. Why double? 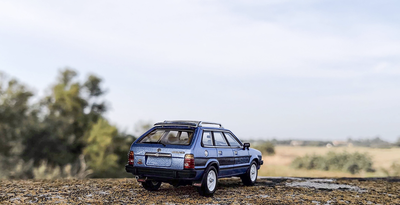 Because the model doesn't represent an exotic or a curved shaped classic car, but a Subaru. 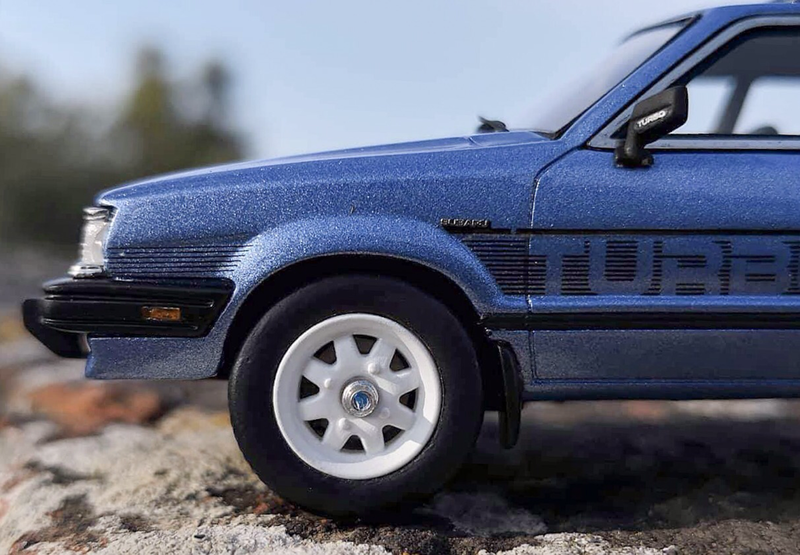 A Subaru Leone 1.8 Turbo, how is wrote on its beautiful transparent acrylic base. Do you remember it of course from my first review of a DNA model. Just now it comes along with a case, made of the same material to create the best display ever for your new 1:43 model. 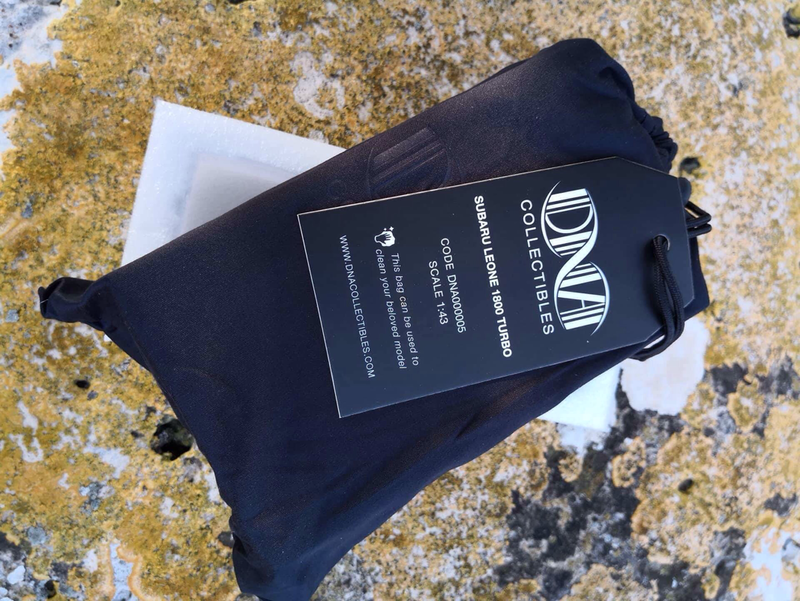 And I know what are you thinking next, because every passionate collector must already know that DNA is the only manufacturer presenting their models in a fancy microfiber bag and my answer is yes!, we have it here, too. Of course made to fit our scale and looks better than in 1:18, to be honest. Just let it closed and "forgot" on your desk and watch people's reaction, will be fun, believe me! Let's move on to serious stuff, not before to mention that this is a true review of what I have in front of me, not a comparison or reference to other 1:43 products, just because I'm not familiar with this scale. Still watching the little model for the first time, I've tried to understand the reason that cause the team to replicate it. I don't think is the fact the Leone was the first Subaru to be sold outside Japan, or the first Subaru with all four wheels drive system, but just some sweet memories about this car. Whatever the reason was, I screwed off the model from its base and continued to inspect it closely. Is made of resin, very well put together, I can't feel something waiting to be broken at the next touch, except the backside logos, developed as individual pieces, in fact qualitative decals, but is normal to be this way. So be careful if some day you'll want to clean your model. I can't spot a single glue drop everywhere and is nice to see the same attention and finishing as in 1:18 scale. The paint job is perfect, metallic and shiny- just to much in my photos because of light and lens, but in reality is perfect and fit to scale. 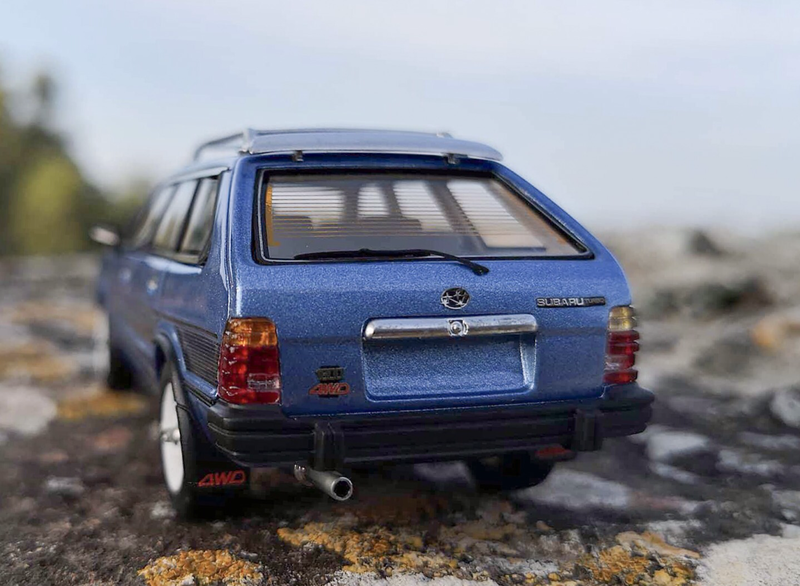 If you ever thought that 1:43 scale could miss some details, you're wrong or to say it true, DNA team made a great job in detailing this miniature. 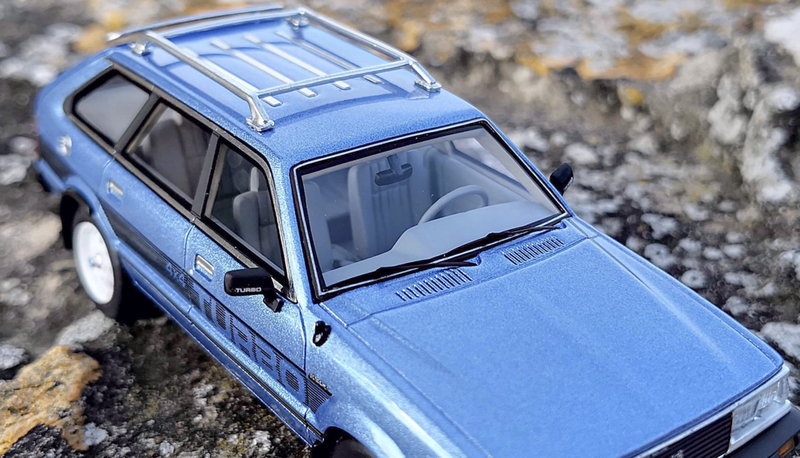 And they detailed it with qualitative parts, this must be mentioned: the door handles and the fuel cap are metallic photo etched parts, the same for the roof ornaments or what I like most the window frames- many would have used only silver paint here, I'm sure. Is a pleasure to find some fine details on a small scale and to see the effort put to detail it as better as possible. The screen wipers are metallic and photo etched and are just amazing, the front ornaments are separate pieces and fixed in place precisely and clean. Not to forget, the shut lines are very well put in evidence, even if the opening parts are missing. A big plus goes for the lights and turn signals, developed as single pieces, not decals or paint, true looking and keeping the right color scheme and on the front side, the light bulbs! As I said before all the decals are metallic parts, legible...I don't know how they made it, just look at that Subaru badge on the fenders or to visible stars on the house's badge and every single one is put in place according to the original photo of the real car. Pretty nice job, DNA! The wheels are supposed to turn on an axle, but don't force them, in my case the rear ones are almost blocked, but for sure I won't use this model for a quick play on my desk. The rims are following the original design, are deep and in the center some kind of decal was fixed, but during my review only one remained in place. I still can't figure if is a detail or a protection, since in the real car photos I don't see any badge there. The fixing parts took the brake system place, being more visible on the front side, since the real car had discs only on the front. It was hard to capture the interior in my photos, but I assure you that is perfectly made and detailed. 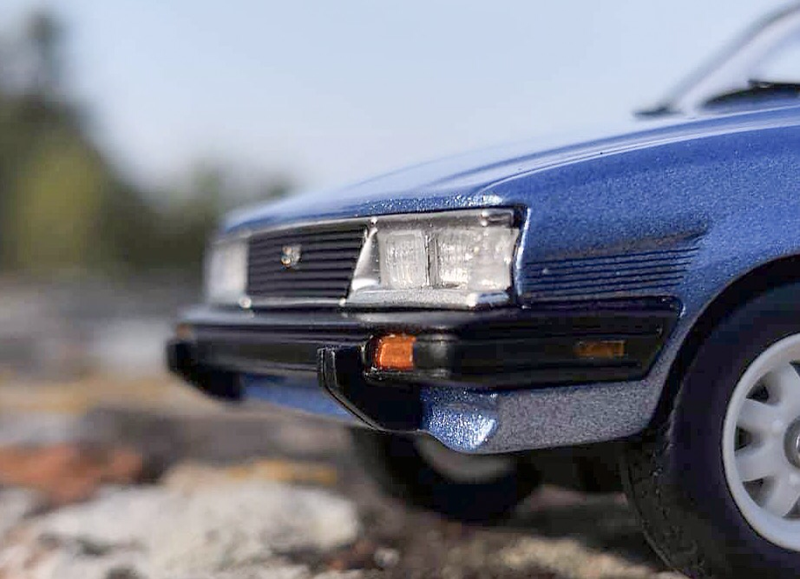 I have the same feeling as the first time I saw the interior on my 1:18 Saab Viggen, is extremely well finished, clean looking, without rests of plastic or glue and to add something more the indicators and some switches are marked. As a personal note, some fabric made seat belts would have been an inspired choice. Only the final exhaust pipe was detailed underneath as a single piece and some parts, were molded on the base. 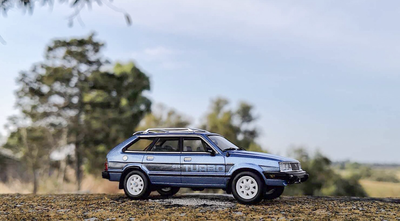 This model belongs to a very limited edition, every single one is numbered and you must know it was never produced in scale before. Inspecting this little Subaru was much more interesting than I've expected and I really enjoyed it. I wasn't in doubt about DNA skills in 1:43 scale, only knowing how much effort and passion they put in making their first 1:18 model. I observed the same great skills in manufacturing and attention to details, but not only. 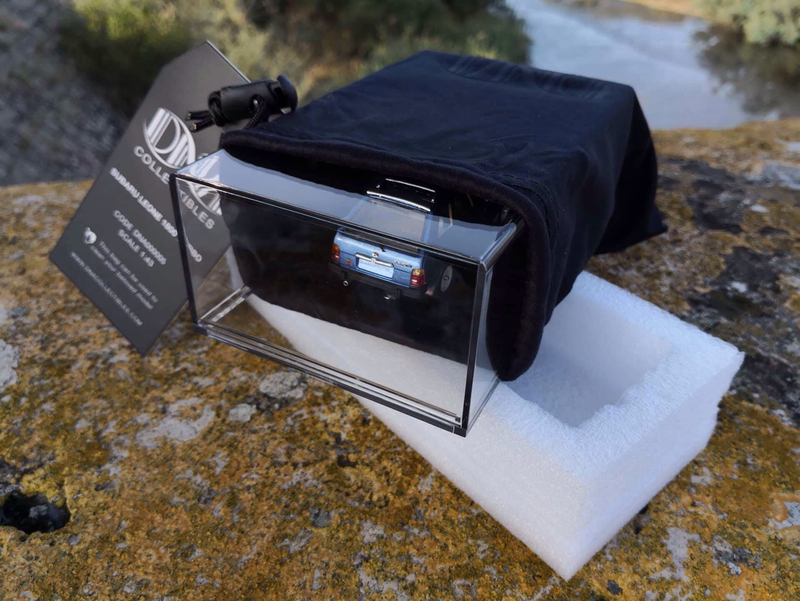 They want to offer qualitative products and they manage to do it, as a collector I receive what I expect: a model well finished, qualitative materials and details. And if is about details, I'm impressed here, not only about their number on a few centimeters model, but again about their quality. In this case, my conclusion is that DNA team managed to turn a maybe not so interesting car for many of us, in a surprising model in scale.